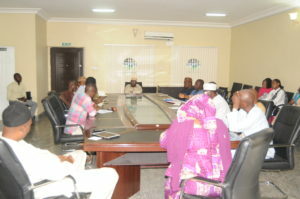 Jeke, in Sule Tarkankar LGA of Jigawa State in Nigeria is a beneficiary of the GGW Project. Estimated to have a population of 7,000 and just 500 meters away from neighboring Republic of Niger, this community waits on water to drip out of the only functioning tank which drips every 2 days. 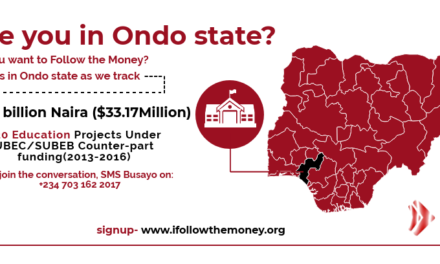 This Follow the Money campaign calls on all concerned public agencies to uphold the public interest through accountable and transparent management of the funds that have been released to provide social infrastructure in Jeke. We invite the public to get involved in the Campaign today. 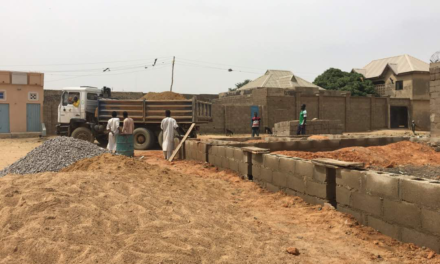 Help us follow the money to provide clean water in Jeke Nigeria. This would help save time and money of these rural settlers, provide water for their livestock, and improve hygiene. February 2016: The team met with the National Agency for Great Green Wall to discuss the challenges we have seen on ground at Jeke. The Agency affirmed that the challenges were real and true, and that they have seen and heard our report on the community. They stated that they they have written a memo to to the federal government to release funds to fix the wind powered water source in Jeke. December 2015: We held a social media Tweet-a-thon on #WaterJeke to highlight the progress seen in the community, and also recent challenges that the community is facing. November/December 2015: We were on radio to discuss the plight of Jeke, and how government agencies and other interested partners can help this community especially with the provision of clean water and hygiene.